The most common cause of tooth loss. Gum disease (Periodontal Disease) is responsible for about 70 percent of adult tooth loss. 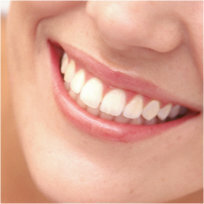 It is characterized by swollen, inflamed gums surrounding the teeth. Plaque, a sticky substance that forms in the mouth from food, saliva and bacteria gets inside the space between the gum line and the tooth. If not removed, plaque hardens into a substance called calculus or tartar that is very difficult to remove. Eventually, the bacteria in the plaque and tartar eat away at the fibers that hold the gums to the teeth, creating deep pockets. As bacteria spread, the pockets become deeper until the bacteria finally eat away the bone that holds the tooth in place. Gum disease is diagnosed through a process that measures the depth of the pockets around each tooth. Pockets that are greater than 3 millimeters in depth are considered hazardous and will generally require treatment. The early detection and prevention of gum disease is another reason to see your dentist regularly. This process of removing the bacteria usually requires several visits to our office. Once the bacteria has been removed, the pockets must be cleaned and maintained on a regular basis by your dentist. Otherwise, the bacteria will return.